Get ready to relax, to rest, release and unwind. 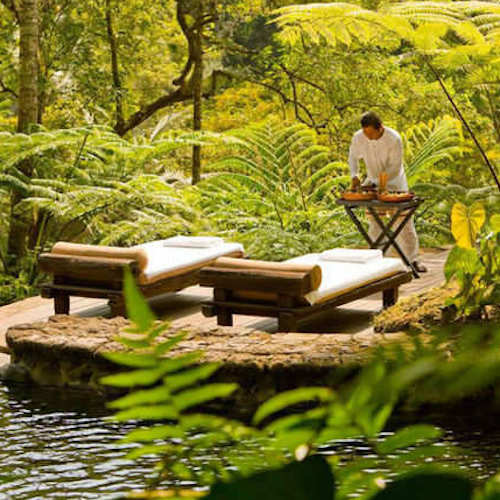 Whether you’re underwater in the Maldives, on the south coast of Italy, to Bali’s jungle or even Utah desert, here are the Best Luxury Spas around the world to sink into. 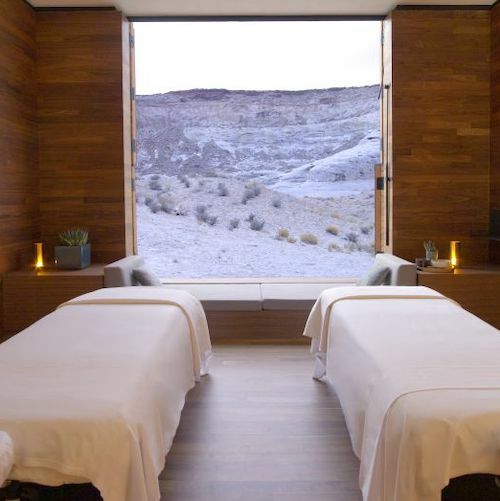 Found within the Amangiri five star hotel in Utah’s heart is the Aman Spa – with views as breathtaking as the treatments available. Using holistic principles and healing traditions of the Navajo people, the aim of Aman Spa is to connect visitors with nature. Choose the Desert Calm ($630) treatment that includes a full-body exfoliation, a Red Sedona clay wrap, followed by a beeswax massage, a hot steam shower, a hydrating massage and finally a rejuvenation oxygen facial. Entering Chablė Resort spa will take guests through a deep, immersive journey of total relaxation, self-realisation and indulgence. 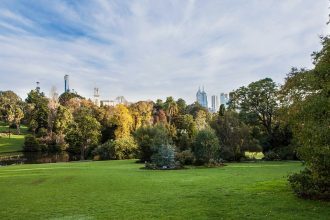 The treatments are described as a combination of Shamanism, luxury, ancient healing techniques and modern science to provide a unique wellness experience like no other. When visiting, opt for Chablė Resorts signature ritual, the Fountain’s Flow. Over three hours guests will endure flotation therapy, a full body scrub using herb infused salts, a lymphatic drainage massage and finally an aromatic anointment. 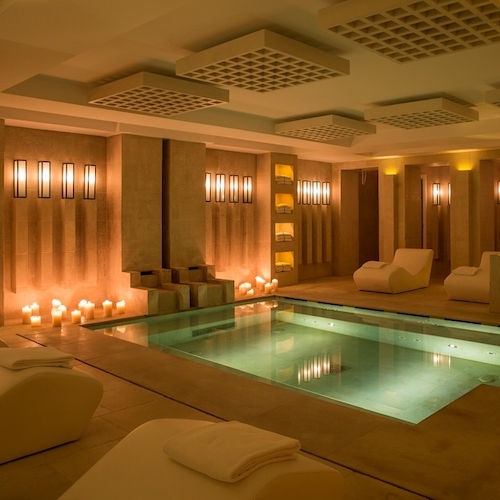 Inside the Ritz Club in Paris is the very new and very luxurious Chanel Spa. Living up to the reputation of the renowned fashion and beauty brand, the spa house aims to embrace the art of the skincare products of Chanel. 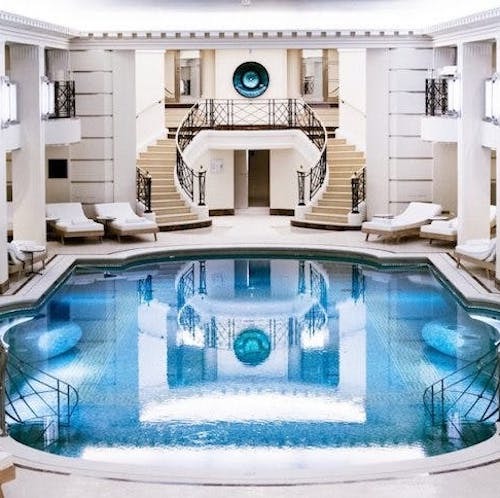 The treatments available are described as an “experience suspended in time, an energetic renewal.” At the Chanel Spa, choose between the L’Imperial 70 minute body massage or the Le Grand Soin 135 minute facial treatment using customised Chanel products. An hour north out of Seminyak is COMO Shambhala Estate, a health retreat that embraces holistic wellness paired with the finest facilities available. Apart from the five star accommodation, guests will be amazed by the extensive spa menu available at COMO. From day experiences in their tranquil garden, to massage therapy, acupuncture, facial care, hydrotherapy and even Ayurveda therapy that uses warm oils poured over the body to rejuvenate, stimulate, cleanse and circulate. Located on one of the Maldives many iconic islands is Huvafen Fushi spa – the world’s first and only underwater spa. Sitting on the sea floor, guests will travel below the sea level to submerge themselves into some of the finest treatments available. 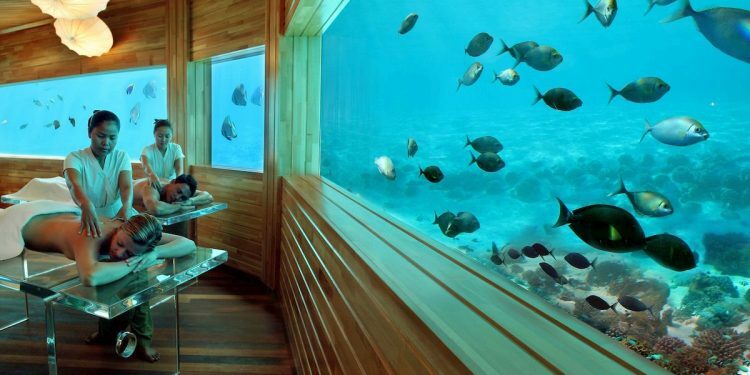 Each of the rooms at Huvafen Fushi are circled with glass windows looking out onto the serene marine wildlife outside. The rooms at Huvafen Fushi are a bewitching experience in itself; regardless of your treatment, it is guaranteed to be one you’ll always remember. 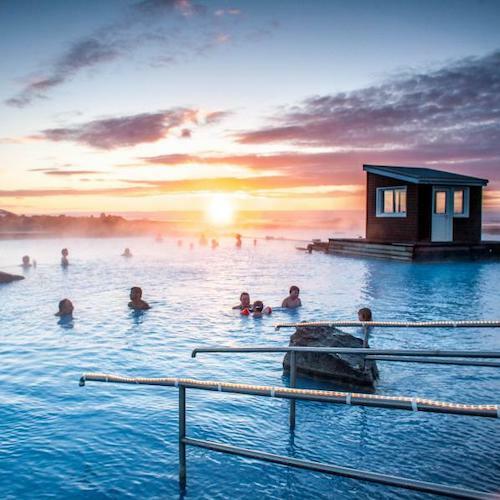 Almost a six-hour drive from Iceland’s capital Reykjavik is the renowned Mývatn Nature Baths – a bucket list must. The lagoon itself contains over three million litres of water with a temperature ranging from 36 – 40°C. Visitors to this natural attraction will be enchanted by the colour and steam generated from the water. For a natural spa treatment, guests can enjoy bathing in the alkaline lagoon or relaxing in the steam bath that produces a natural geothermal steam for as little as $60 per person. There’s no denying that Mývatn Nature Baths is one of the world’s greatest natural treasures. 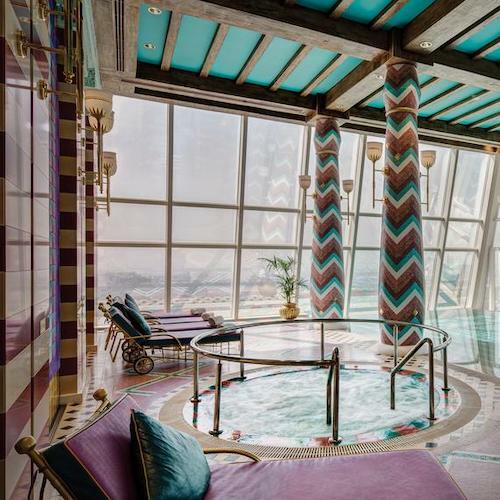 Overlooking Dubai city, inside the renowned Burj Al Arab is Talise Spa – considered one of the world’s most opulent spas in one of the world’s most luxurious hotels. 150 metres above ground level guests will be able to immerse themselves in a range of treatments with views of the Arabian Gulf and renowned Atlantis the Palm. 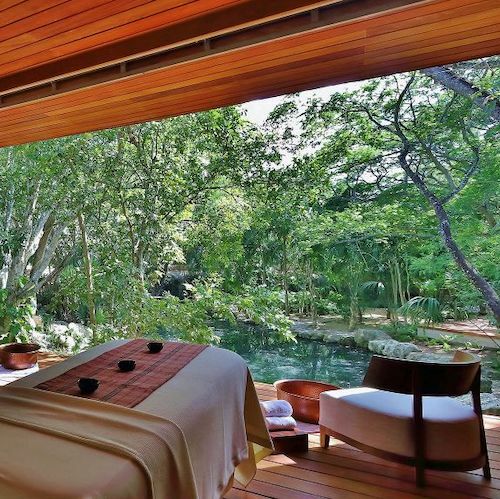 Their extensive spa menu covers everything from facials to organic wraps, saunas, steam rooms, plunge pools, an indoor infinity pool and even a Chakra balancing hot stone massage. Inside Borgo Egnazia found along the coast south of Italy in Puglia is Vair. Taking inspiration from its surroundings, the treatments incorporate the authenticity and ancient traditions used of the area. Hidden by the stoned infrastructure reminiscent of ancient roman baths, Vair uses elements of its surrounding olive trees and the powerful sea breeze. Visitors to Vair can encapsulate a true taste of Puglia with a relaxing 80 minute U Berafatt massage that uses natural olive oil, and then followed by a Spirit 80 treatment –a regenerating guided experience in their very own roman bath.